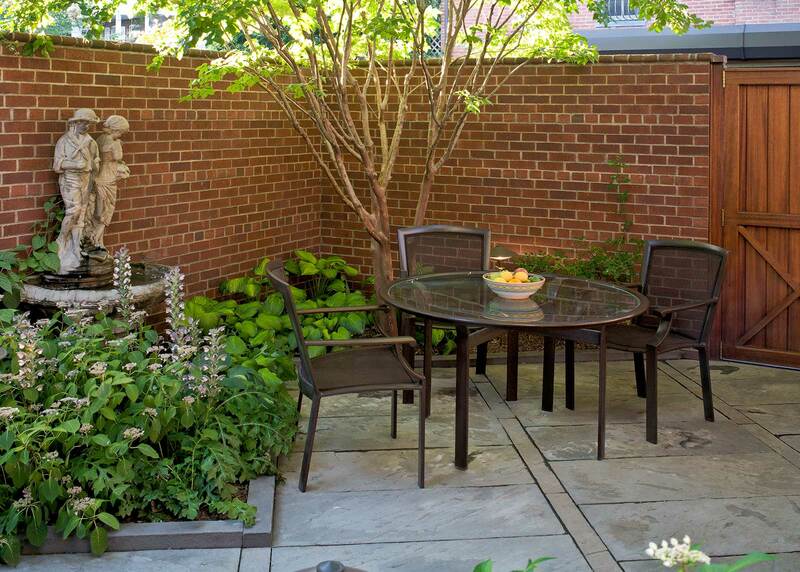 This walled townhouse garden on Kilbourne Place NW is nestled in Washington, DC’s historic Mt. 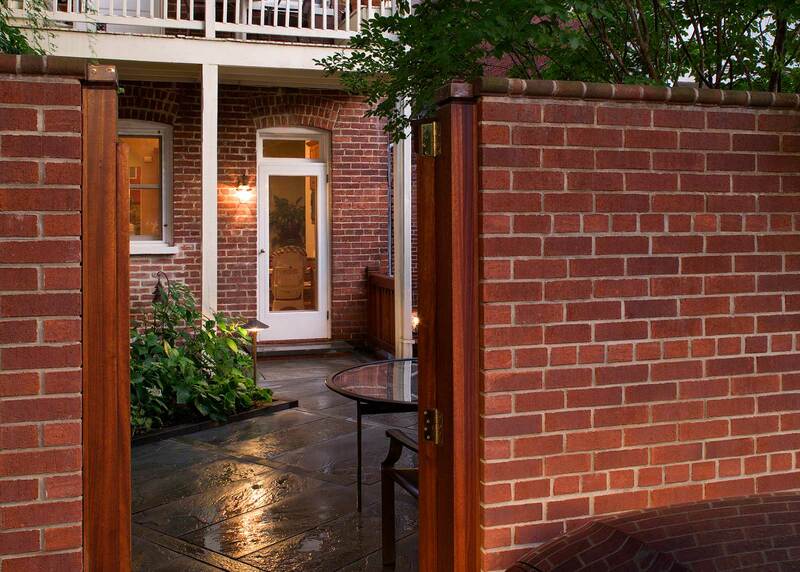 Pleasant neighborhood. 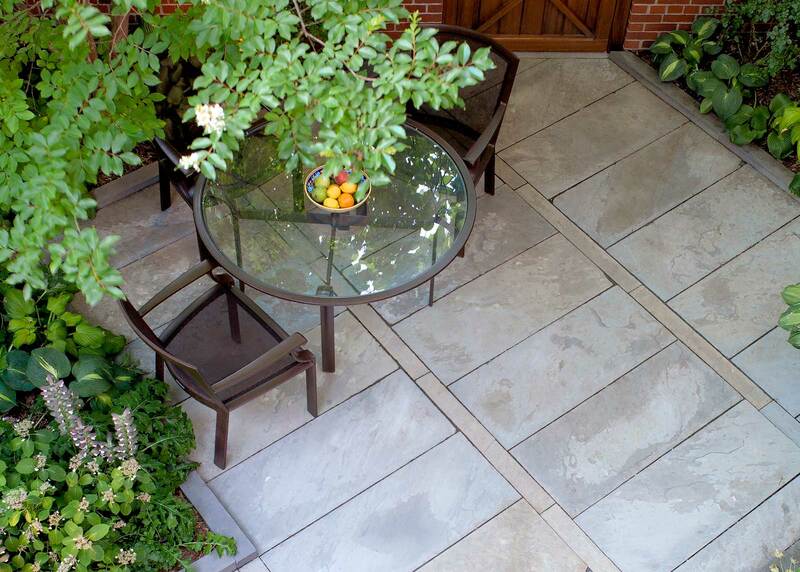 Though small, the garden is visually lengthened and expanded through the creation of diagonal lines in the hardscape. 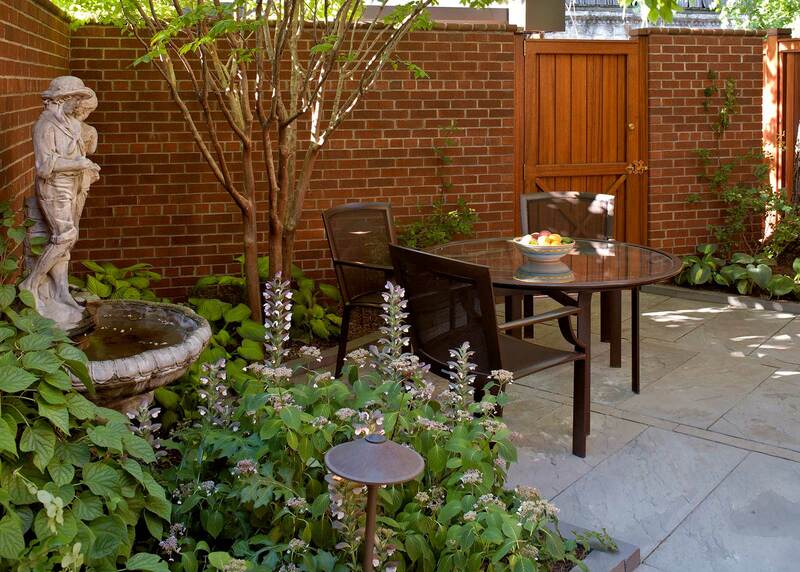 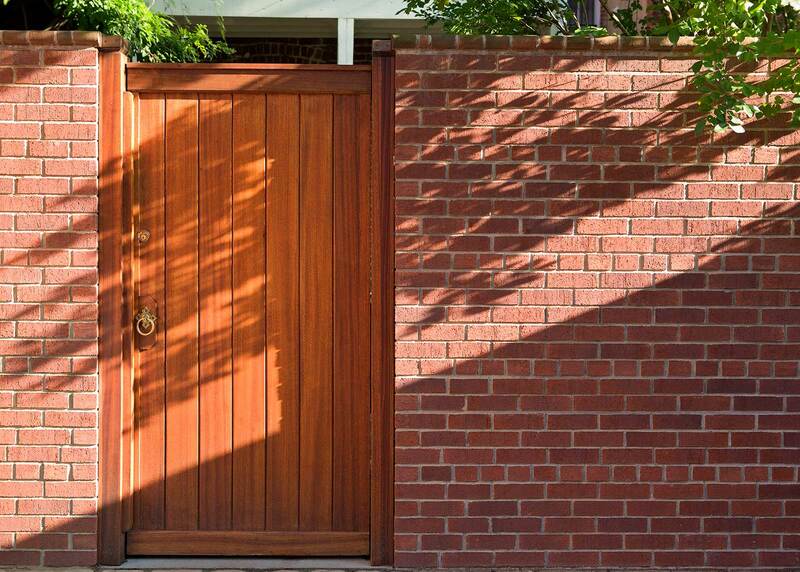 A combination of rich materials including mahogany, brick and natural bluestone are layered, creating drama and providing a continual sense of discovery that belies the limited size of this urban garden.